From the earlier steam turbine vessels where coal was the fuel, oil-fired boilers generate the steam that turns the turbines. This principle has been in use since the 1920s, but modified greatly so that propulsion by steam turbine is now more efficient, and remains a propulsion type used in some modern ships. 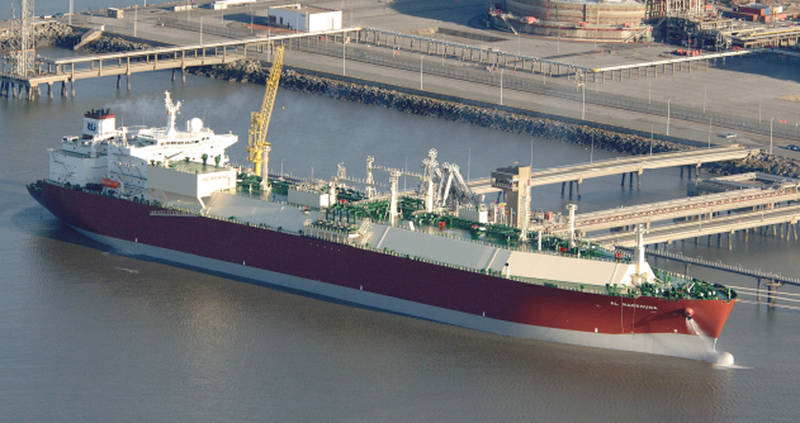 Liquefied natural gas (LNG) is being used as a heat source in some ships, notably in some LNG carriers that use the “boil-off” gas from the cargo tanks. Technology surrounding LNG is being developed for wider use as a marine fuel in diesel engines, and LNG bunker facilities are already in use at several major ports.